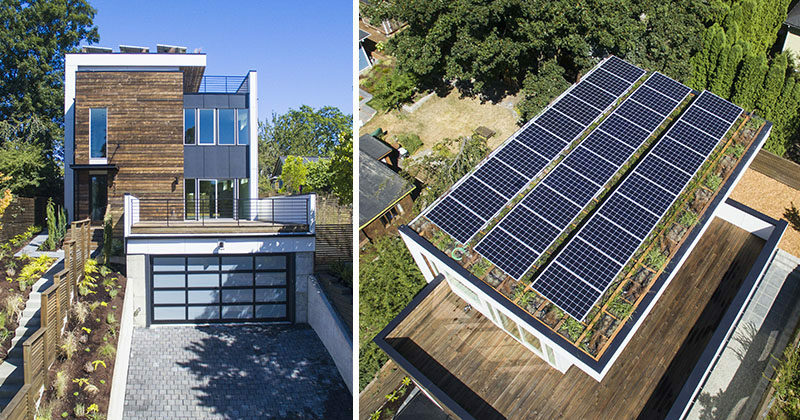 Home builder Dwell Development, have recently completed this new house in Seattle’s historic Capitol Hill neighborhood, and as part of the design, they included a solar package and a green roof. 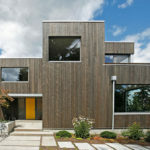 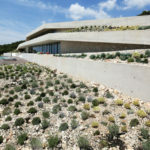 From the street, the solar panels and green roof are barely visible, however they add to the energy efficiency of the house, allowing it to have a low monthly energy bill. 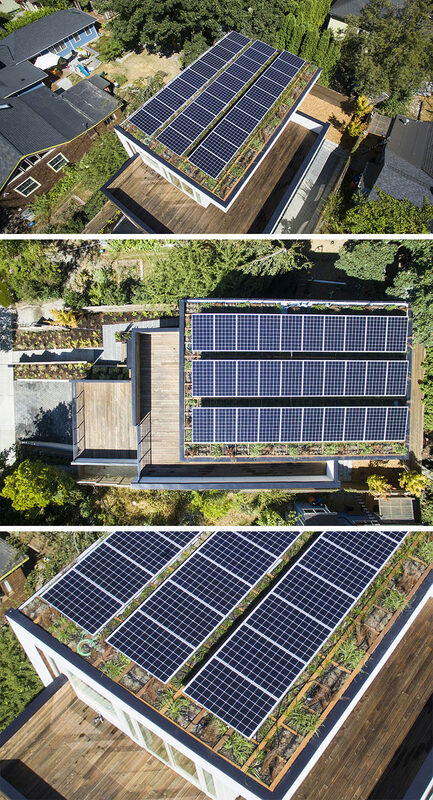 Taking a closer look at the roof, a 9Kw solar package was added to the roof, with raised rows of solar panels thato allow a green roof to grow underneath it. 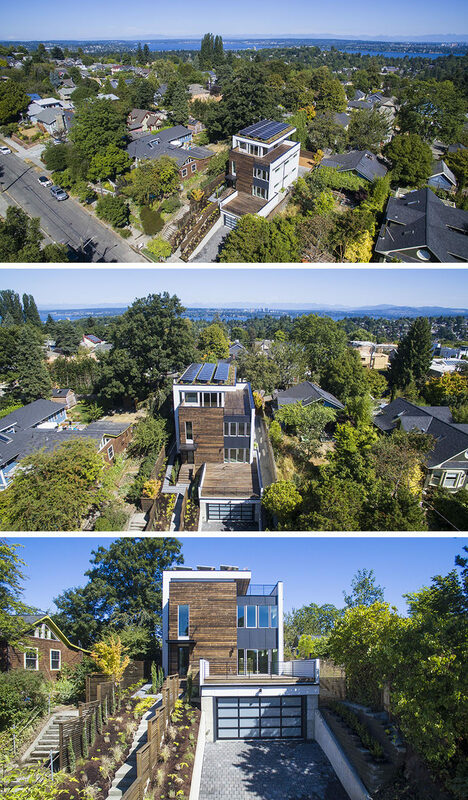 As a result, the roof is able to harness natural energy from the sun and helps to reduce carbon emissions.